Home » Broken Heart » Offering Grief Support after Losing a Loved One. I have read some of your Love advice and wondered what advice can you offer when a good friend or family member is going through a hard and emotional time with the loss of a loved one? My friend just lost her Mom to cancer and is so depressed and needs grief support. I thought you could share some love advice on this topic. I have never experienced this type of loss or pain, and I’m not sure how to give her the support she needs. I feel so helpless. Thank you so much for asking this question. I write a lot about love situations and this grief support topic is often not addressed. Most people are clueless when faced with dealing with the loss of a loved one. This is not a subject they teach us in school and it often triggers our fears. All of us go through times of sorrow…break-ups, a death in the family, divorce, accidents, getting ill, losing a job or a pet. These and other experiences happen to all of us at one time or another. After experiencing major losses in my life: the recent loss my husband Joes darling mother (my friend and mother in law) Betty on Sept 12, 2017, my sweet Mother in 2002, my Aunt BeBe (my God Mother) in 2005, and my best friend Rhonda in 2010,I learned so much about grieving and have wanted to share my insights. I found that people who had never experienced a death in their own family were almost afraid to call and some people will avoid contact not knowing what to say or do. I think people finally learn how to handle grief after going through the process based on how their family handled the process. Each culture and religion have rituals that address a soul passing on in their own special way. When my mother passed, a good friend of mine called and admitted that she was inexperienced on what I might need in my time of sorrow. 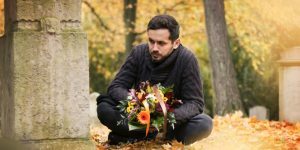 When I asked a few people if they felt the same way, they all agreed that there aren’t any guidelines about dealing with death or sorrow unless you have experienced such a loss in your own life. It made want to share some thoughts on this topic since it is a part of life and love. Just know even a small kind deed can help in the healing process. Here are a few suggestions that you might use if someone close to you needs some love support during a challenging or sorrow filled time. 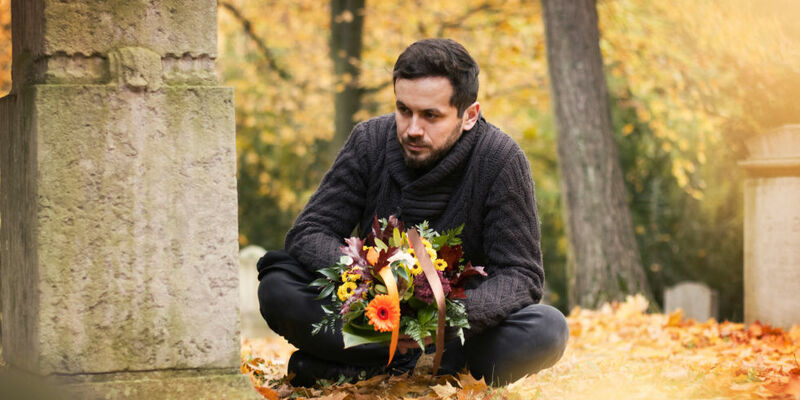 Often after a death or a traumatic event, they may be in shock, feel disoriented, disorganized, and need support and don’t know how to ask for assistance. Call them and ask if they need anything or send a warm card letting them know you are thinking of them. Mention that you are open to help and can be there for support. Offer to come hang out at the house and answer the phones, take care of their pets while they are planning for the funeral services. You can keep a log of the calls and deliveries that come to the door and offer to return calls they may not want to make. Stop by with delicious comfort foods: Soups, salads, cookies, cake or a homemade meal will do the trick. Healthy food is good for the soul and they may not be in the mood to cook. Show up to help them tidy up the house or do the laundry since they may be in shock and not have the energy. They may have visitors coming from out of town for services and these tasks ease the stress of having to clean. Go groceries shopping and fill their fridge with healthy essentials: fruits, veggies, eggs, milk, bottled water, bread, juices, coffee, tea, their favorite treats, and toiletries. If they have people coming in from out of town offer to pick them up at the airport to take some of the pressure off and help them get settled. Just lovingly listen and let them cry! Sometimes that’s all they may need is a friend to share the stories and memories of their lost loved one (or a pet) they’ve had for years. Look at photos and talk about happy times. They may need nurturing! If you give a good massage offer… Even a short shoulder, head or foot massage will help them relax. Then run them a hot salt bath with lavender oil to help them rest. Gather photos from family and friends to make photo boards for the services for guests to reminisce all the fond memories! Take them out for a walk-in nature or near water to get them grounded and rest their minds. Pray for them and let them know they are in your prayers. I often send recorded prayers, so they can listen whenever they need comforting. Assist with short errands. A bank deposit, a post office run, wash their car or help them sort out their bills. Call often to check in after the services. The shock of a such a loss doesn’t hit them until a few weeks later. They can suddenly feel alone since the flow of visitors slows down and the reality of their situation sets in. Give them time to grieve. 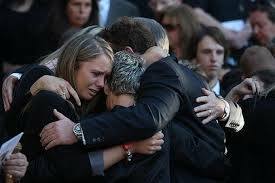 here is no set length of time for grieving the loss of a loved one. Be patient and sensitive to the roller coaster of emotions that comes in waves. Some people take more time to process their feelings than others.Just checking in helps. Hugs Work! Give them freely and often…and if you need one ASK for it! Hugs help to heal many wounds! If you are going through a grieving process, speak up and ask for assistance from a relationship coach, therapist your family and friends. People want to help you but can’t read your mind. Many people that are grieving say they often feel like they’re imposing on their friends when they are so sad. We all have hard times and people are happy to offer support. Death is a part of life that brings up fear. Some of my friends said they had never experienced a death before.and appreciated me telling them what I needed when my Mom passed. I asked for their support and the healing process was easier because of it. We all learned to love deeper and it made us closer. ASK and you shall receive! I’d love your Feedback and your true experiences of losing someone close! If you have any thoughts on this topic to share when you lost a loved one, I’d love to hear from you to record your experiences. Your true stories will help others grow and have deeper more connected relationships.Let’s all be grateful for our blessings and to acknowledge all of those special loved ones who have passed. Their memories live in our hearts forever. If you have a love or dating dilemma send in your questions or comments to Renee directly. Still Single? Suddenly Single? Need support getting back in the game? Check out my book Get Real about Love -The Secrets to Opening your Heart & Finding True Love (a great holiday gift for a friend) that is available on Amazon, Kindle or the narrated audiobook is out now on Audible.com to help you look at your patterns and achieve your goals. 20 minute love consultation and get on my list to get FREE Gifts at www.ReneePiane.com. Love is in the air!